You want them to last as long as possible, and a little care goes a long way. SOONER OR LATER, your headphones are going to break. It’s inevitable with anything really. 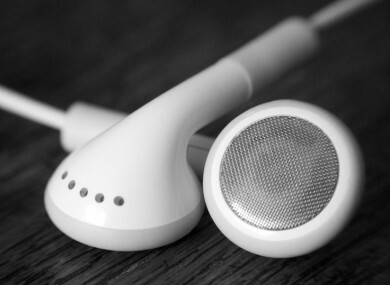 Wear and tear will eventually claim them, especially if you’re using them everyday to listen to music, podcasts, or the radio through your phone. Yet it’s how much strain you put on them every day that will determine how long they last, and thankfully, how to take care of them isn’t too complicated. Whether you spent a certain amount on them, or if they came free with your last smartphone, a little care goes a long way. When you’re plugging out your headphones, don’t yank them with the wire, but pull it from the headphone jack itself. Also, avoid any folding method that creates sharp bends like wrapping it around a phone, MP3 player or itself if they’re a large pair of headphones. The wiring isn’t as durable as you think. Headphone cables are, to an extent, designed to withstand twists and turns depending on the wiring. As mentioned earlier, you should keep sharp bends to a minimum and stuffing them into your pocket or a similar tight space should be avoided since it puts unnecessary strain on the wiring. There are a number of ways to tie your headphones up. One that Lifehacker recommends the hook-em-horns method – which involves wrapping your headphones in a figure-of-eight pattern – or the over-under method which takes longer but avoids sharp bends entirely. Also, if your earbuds have a clip, it’s better to connect it as close to the two earbuds so they stay in place while you’re tying them. It won’t get rid of knots on their own, but it will make it easier to untangle if it does happen. As mentioned earlier, stuffing them into a tight space and then forgetting about them isn’t a good idea so if you have to put them away, putting them in a case, where they won’t bend or get dirty, is a good idea. Some pairs of earbuds come with their own case which should be used whenever your headphones aren’t in use. For larger headphones, it’s better to put them back into its original casing – if you didn’t throw it out - or store it somewhere. Durability is one thing, but dirt and earwax can cause problems too. If you do have to wipe it, a damp cloth (using warm water) with a tiny bit of soap is a good way of cleaning them, but you can go a step further and use a cotton bud or toothpick to clean out stubborn or hard to reach parts. If you’re cleaning earbuds with removable covers, take them off first before cleaning it, although it’s a good idea to replace them entirely. If you’re buying a new pair of headphones or earbuds, then you know how expensive they can get, but don’t skimp on them. Those €3 earbuds cost that much for a reason so don’t be shocked if they don’t last too long. That said, you don’t have to spend that much for a good pair of headphone or earphones, just put a bit of thought into it first before spending. Also, as tempting as it is to throw it away, keep the instruction booklet that comes with them since they usually give advice on how best to store and clean them. Email “This is how you should take care of your headphones”. Feedback on “This is how you should take care of your headphones”.